Hitch and Francois Truffaut, during the famed interview. 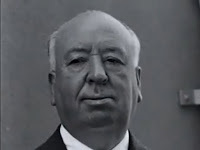 More than perhaps any other director in Hollywood, Alfred Hitchcock understood the energy potential of the material of film itself. “To me,” he said, “pure film, pure cinema, is pieces of film assembled” to create an emotional effect. In interviews, he extolled "pure film" and longed for the good old days of the silent era, when movies were constrained to tell their stories visually, with as few interruptions as possible from those distracting dialogue title cards. Like modern poets who learned their craft writing sonnets, the discipline was good for directors who carried those techniques into the sound era. Nevertheless, Hitch didn't learn those lessons overnight. His early silent films made in Germany faced lukewarm reviews from critics who complained that they were too wordy. But learn he did, soon enough teaching his mentors a thing or two about visual storytelling. Though he may have popularized it, Hitchcock didn't invent "pure film." The phrase itself originated in the Japanese film industry's Pure Film Movement of the 1910s and 20s, and the theories behind it were developed largely by Russian directors and film theorists, notably Sergei Eisenstein, Lev Kuleshov and Vsevolod Pudovkin. 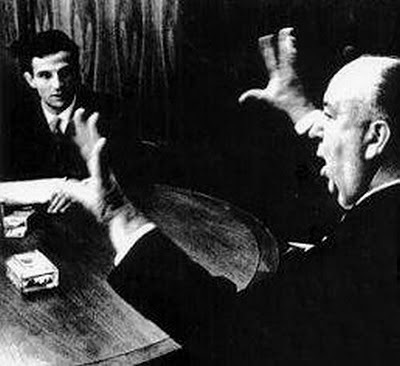 Kuleshov devised an experiment to demonstrate that film editing can be far more powerful than an actor's performances. He put together a short movie in which an actor looked off screen at a bowl of soup and then at a little girl's coffin. The audience "raved about the acting," according to one observer, who was praised for his powerful expressions of hunger and of sorrow respectively. The upshot? Kuleshov used the exact same footage of the main character, only replacing the middle piece of film, the object of his gaze. He was directing, not the actor, but the audience's reaction. With its insistently subjective point of view, Rear Window is little more than a series of such action/reaction shots, a movie that could easily be subtitled, "Variations on a Theme by Kuleshov." ...and, second, as dirty old man. Teresa Wright, who played Charlie Newton in Shadow of a Doubt concurred. In prepping her for the role, Hitch sat her down in his office and told her the story of the film. 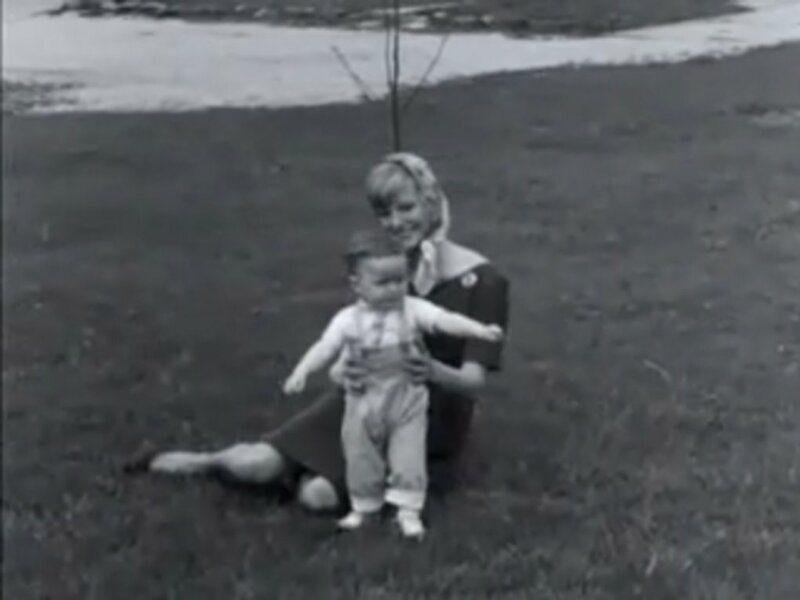 "He told me everything," she recalled, "including the sounds and the music. When I went to see the film after [the shooting] was all over... I thought, 'I've seen this film before.'" And, really, she had. She went on to say, "I saw it in his office that day." For Hitch, the final product – the film itself – was the only real talent he had to worry about. No wonder his reputation (not universally held, it should be noted) for being manipulative or emotionally distant on the set precedes him. In his single-minded pursuit of the final cut he had neither time, patience nor budget for distractions. That's what was behind his famous dictum that “actors should be treated like cattle.” Tongue in cheek though his pronouncement may have been, it wasn't really meant to disrespect actors, but simply to return them to the context of the other elements that make up a movie, such as framing, editing and production design. The movie screen is the ultimate democracy, a land in which people, places and things are stripped of their hierarchy and equalized. No wonder the Surrealists, whose manifesto called for the elevation of the ordinary to the extraordinary, glommed onto filmmaking so quickly and so early. It was their medium, made to order. In Rope, a Dada experiment if there ever was one, the murder weapon is what the script calls an “ordinary window sash cord,” yet for the first third of the movie, it drives Phillip (Farley Granger) and the audience to distraction. Hitch perfected such animism, eventually raising up a generation of people unable to step into a motel shower and who glance nervously at a plain old flock of birds gathered on a telephone wire. The movie is the message. After the crew has been paid, the sets dismantled and the stars have finished their press junkets, the only actor left standing is a mile-long length of celluloid, stitched this way and that, spiked with visual effects and layered with dialogue, incidental noise and music to create a single time-based, mixed-media collage. This Frankensteinian mishmosh of visual and audio bits is doomed (or released or liberated) to solo appearances at the Bijous, Paramounts and Roxies of America, alone, night after night to endure taunts and jeers (or, the 'laughter and the screaming,' as Norman Bates would put it) to which no audience would subject live actors. 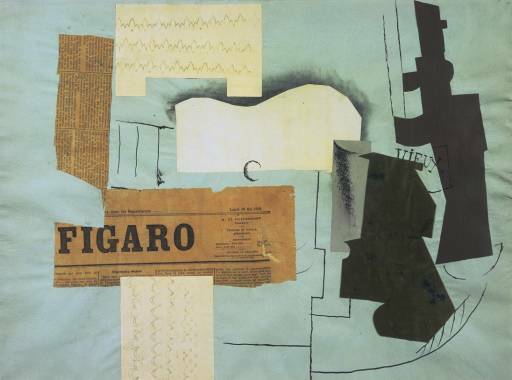 More than the sum of its parts: like a filmmaker's use of close-ups, or a montage that combines bits of film to tell a story, Picasso's 1913 collage, Bottle of Vieux Marc, Glass, Guitar and Newspaper, fractures the space of the picture frame, using both close up and montage to tell a story. It's that very patchwork process that makes film so emphatically a product of modernism. For centuries, visual, sound and text collage were oddities. Sure, you may have heard Tchaikovsky borrowing folk themes here or Moses lifting text from the Epic of Gilgamesh there. But viewed from the perspective of A. D. 2010, such appropriations are comparatively unusual. The explosion of Futurism, Cubism, Dadaism, Surrealism and Pop Art, along with output from writers like T. S. Eliot and William S. Burroughs and hip hop artists like Kanye West all have one common denominator: the slam-bang assembly of previously manufactured art and artifacts, a.k.a. collage. In borrowing from art, history, popular culture and found sources, they synthesize them into new, original work. When the housekeeper in The 39 Steps discovers the dead Annabella and opens her mouth to scream, her voice is replaced by a train whistle from the next scene. The voice of Psycho's Mrs. Bates was provided by at least three women and one man, while her body was supplied by one actor, one actress and one mannequin. The nun who appears at the end of Vertigo to say “I heard voices” was overdubbed by the voice of Kim Novak, who'd already served in the dual roles of “Madeleine” and Judy. 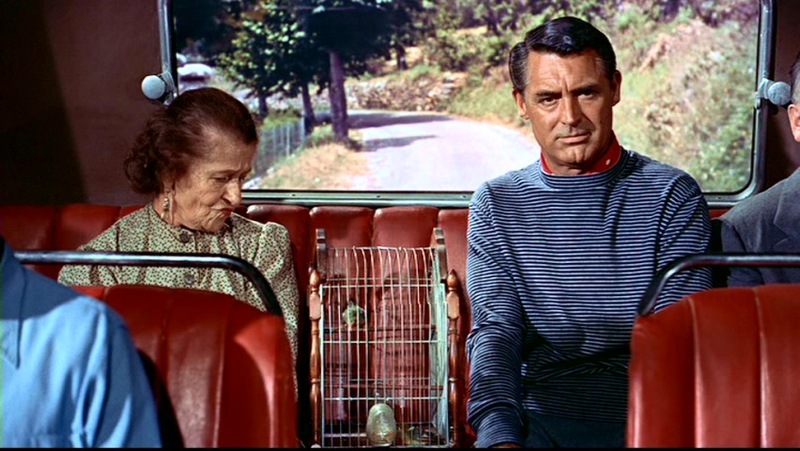 When Hitch stows superstar Cary Grant away on the fortuitously named Twentieth Century Limited rail line and runs a rear projection of the terrain gliding by, the cut-and-paste job is so seamlessly executed you never see the Exacto knife. 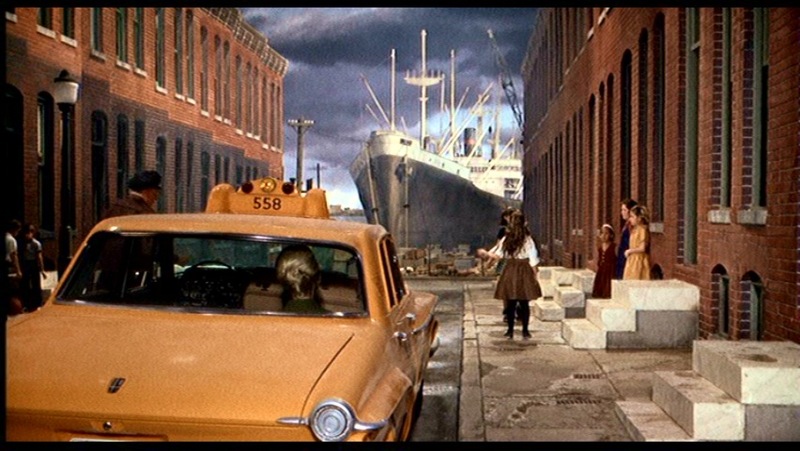 And what are old school special effects, such as rear projection and matte paintings, if not forms of collage? One of the earliest "trick photography" devices was the Schufftan process, which used mirrors to insert miniature sets and small matte paintings in front of the camera, creating the illusion that the action was taking place on a much larger and more expensive set. 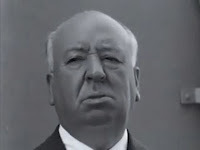 It was Hitchcock who immediately grasped its potential, pushing the technique like no one before or since. He truly was ahead of his time: in 1929, on the set of Blackmail, he had to hide his miniature sets from incredulous producers who doubted the visual trick would work. 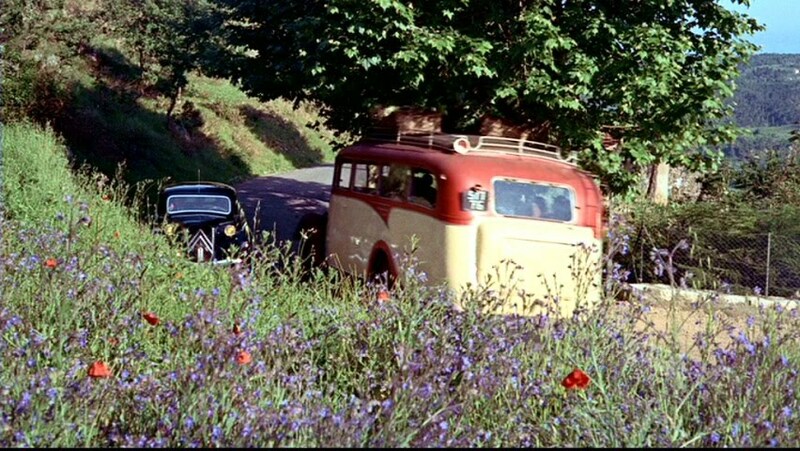 Hitch took special care to make his rear projection scenes, such the views from inside a moving car, appear lifelike. In To Catch a Thief, the second unit filmed the exteriors for these two shots. Perfect timing: notice how the tree in the first shot is matched in the second shot, recreated in Hollywood using rear projection. Also, the color values and lighting in the studio shot are balanced so as to render the trick photography utterly convincing. This is what happens when you give a first-rate crew time and money to do what it does best. At other times, he seems to have hurried through the process, lending a slapdash, artificial quality to some scenes. 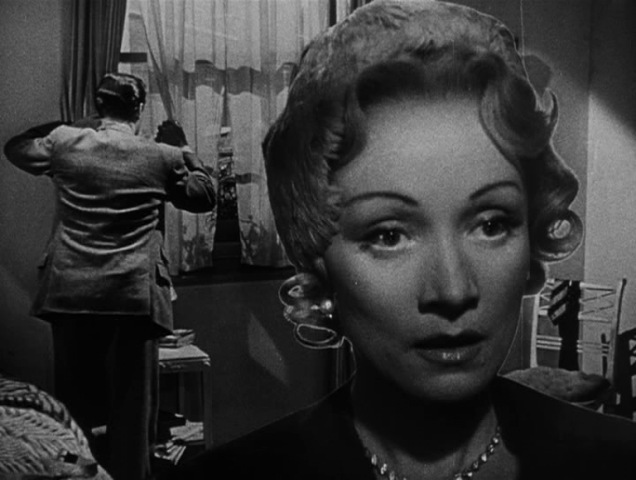 In this shot, Marlene Dietrich is quite obviously standing in front of a rear projection screen. Gratuitously fake, the shot is, if only subliminally, of a piece with the film's concerns regarding acting, performance, real life and deception. My favorite shot in the film, it's a collage effect worthy of Robert Rauschenberg. For that reason, I agree with those who see the cheap, obviously fake special effects in Marnie as part of a deliberate aesthetic decision by a director who had spent decades toying with the artifice of film. The artificiality of the white studio lighting and the obviously fake painting of the ship (you can almost see the brushstrokes) were, I believe, part of Hitch's overall design, an expressionistic approach that harkens back to the painted-on sets of The Cabinet of Dr. Caligari in 1919. In this case, the claustrophobic fakeness of these scenes echoes Marnie's psychological entrapment. Whether they "work" in terms of pure entertainment is one thing, but art-house fans and scholars get it. It would seem Hitch was making his film for a highbrow audience -- or hoping his mainstream audience would go along with him. Unfortunately, many didn't -- though it must be said the film has been vindicated in the test of time. A painter or a novelist may work cheerfully for decades, with no intention of showing his or her work to another soul, never pausing to look back at it himself. For such individuals, it is the process, not the product, that matters. Film isn't like that. As Immanuel Kant would say, film is the thing-in-itself. It exists to be seen, awaiting its chance to be willed to life — even if by an audience of one in a darkened living room. Indeed, if it were not for film's inherent, intrinsic power, how else could we become entranced by a story whose author has moved on to other projects, whose fashions are out of style and whose performers are long dead? Even Cary Grant had a hard time being Cary Grant. Nevertheless, though years have passed since his death, his Roger Thornhill, T. R. Devlin and John Robey continue to live. Howard Hawks had the genius to play against Cary Grant's charm and good looks in such romantic comedies as Bringing Up Baby, but it was Hitch who saw inside him the dark moods and the light, the fear and the longing, as displayed in Suspicion and Notorious. And it took more than Grant's considerable acting skills to convey those nuances. No wonder the usually obsessive Grant trusted Hitch so much. In that sense, the apocryphal story about about primitive cultures is true: the camera can indeed capture your soul, or at least make a convincing copy of it -- but only in the hands of a skilled director. That's pure film for you.